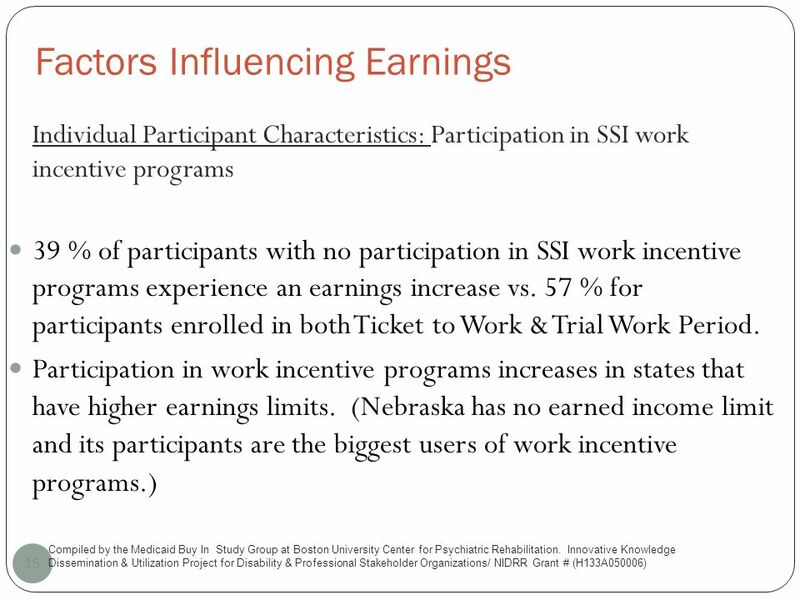 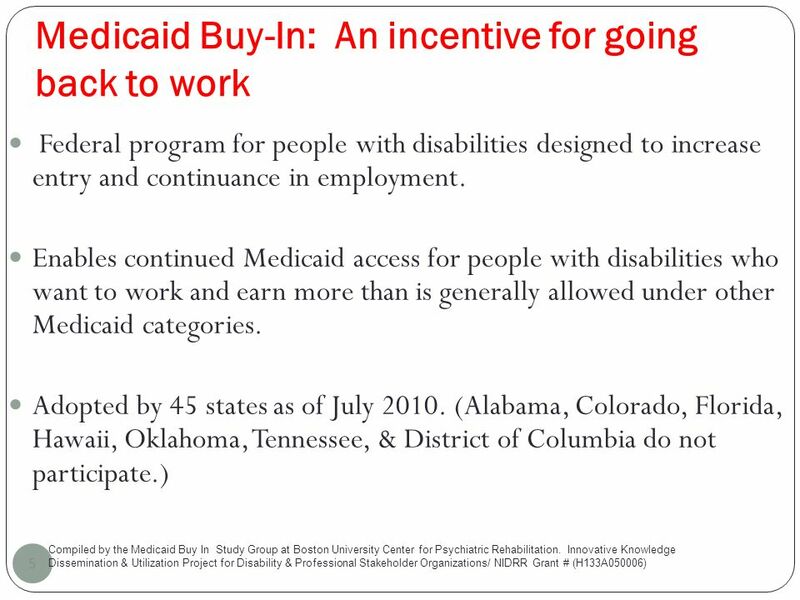 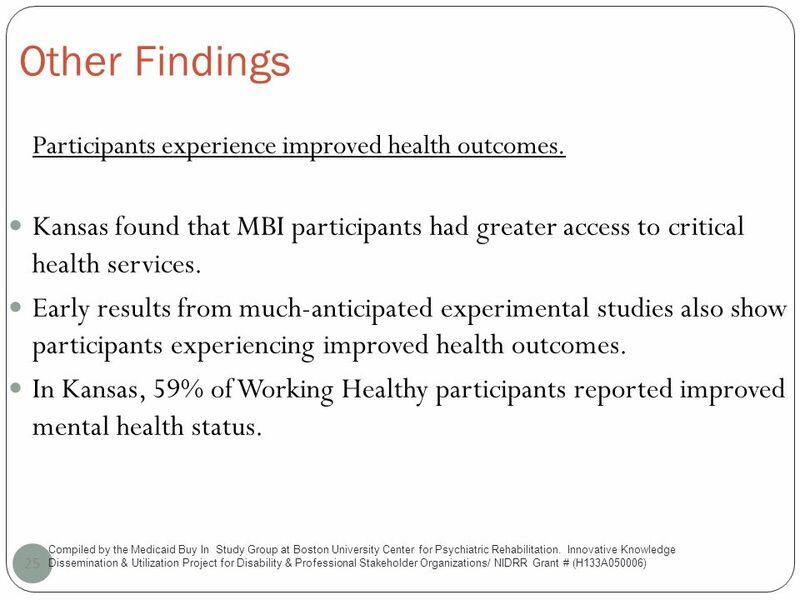 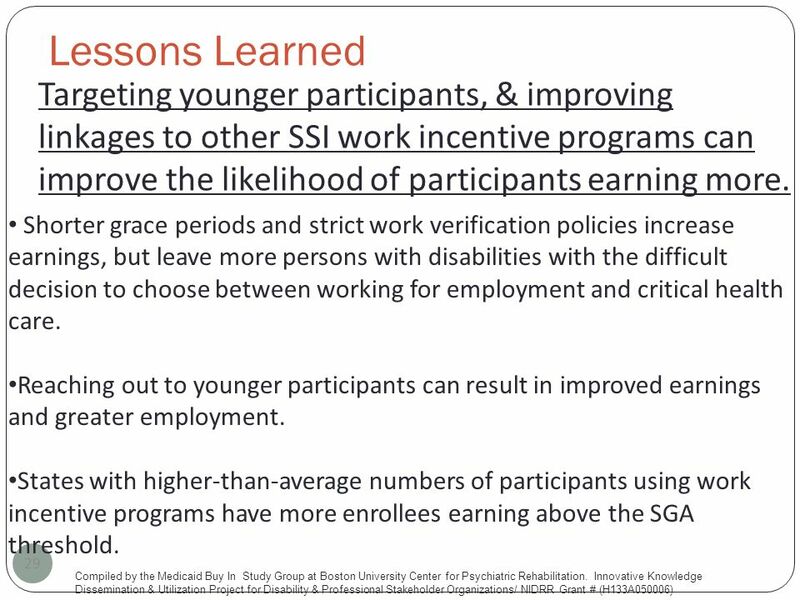 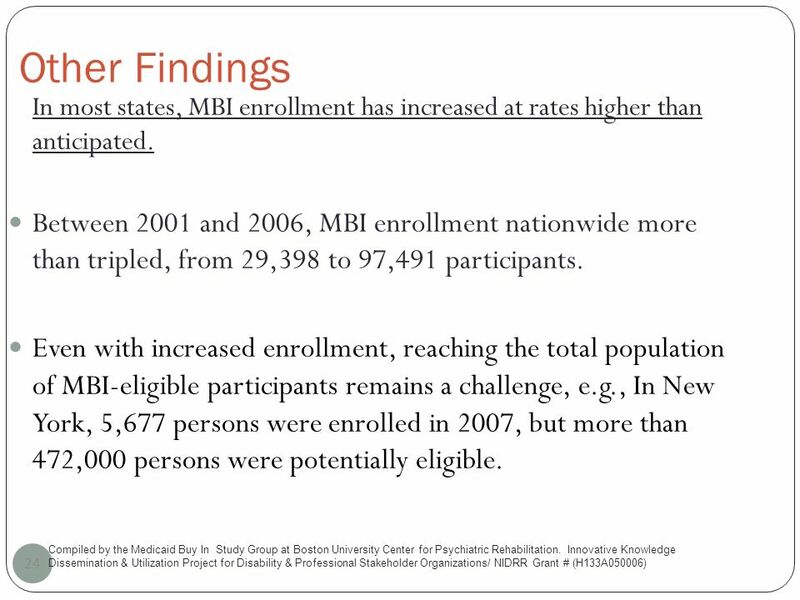 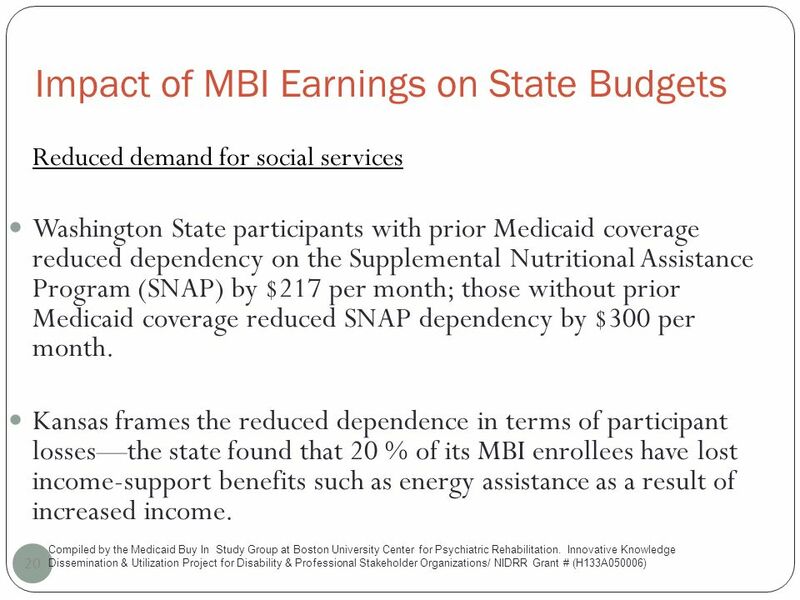 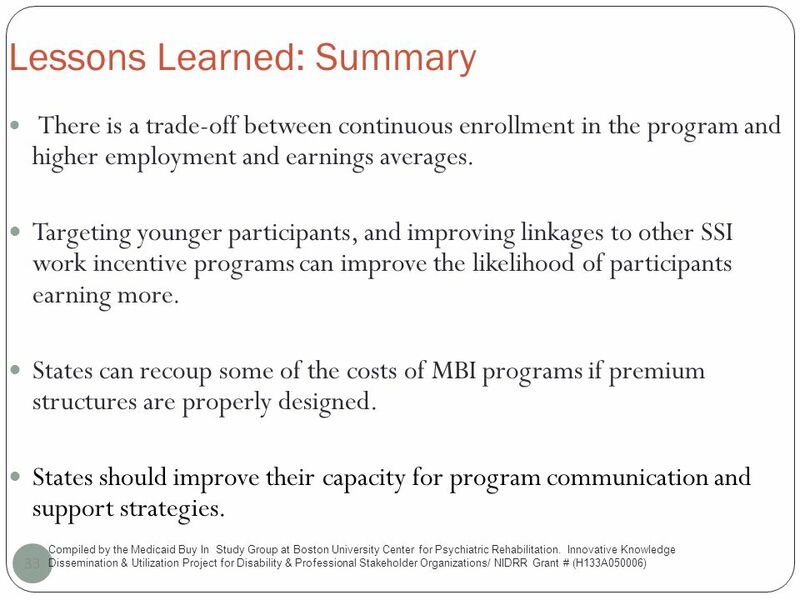 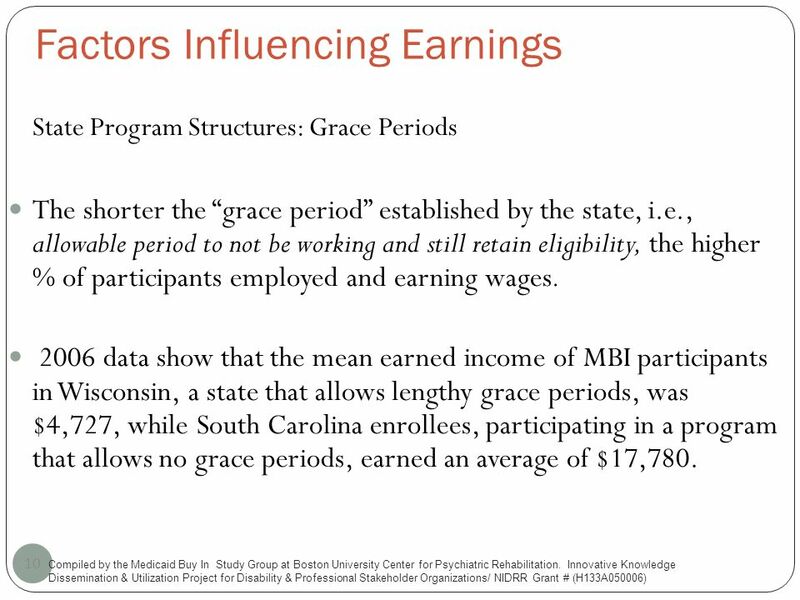 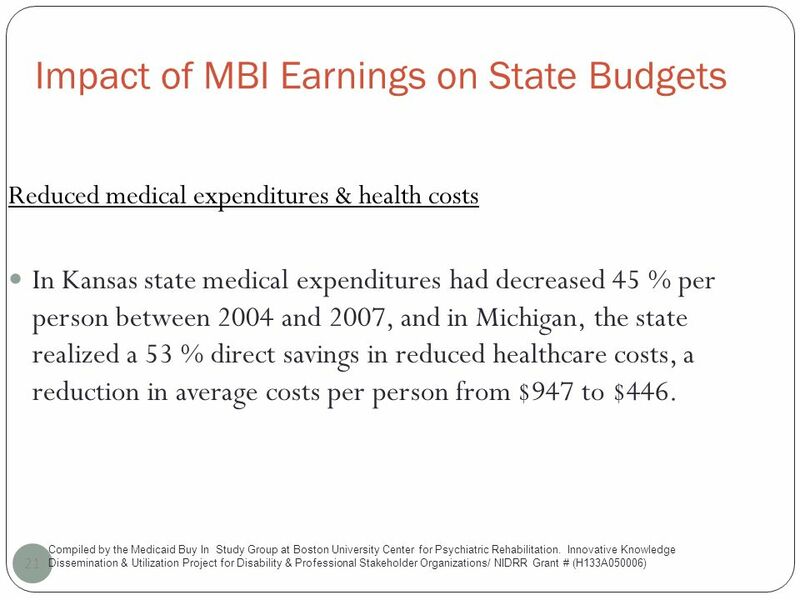 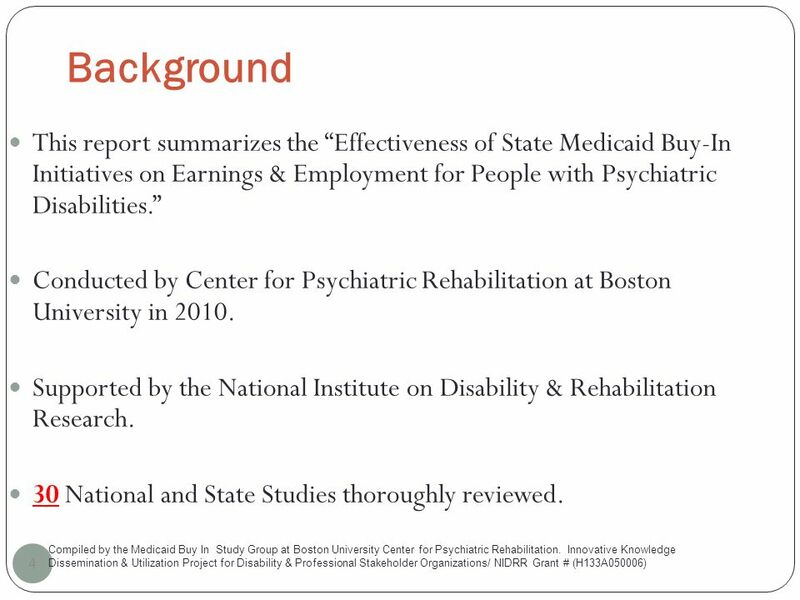 Enhancing Earnings & Employment for People with Psychiatric Disabilities Medicaid Buy In Boston University Center for Psychiatric Rehabilitation, Innovative. 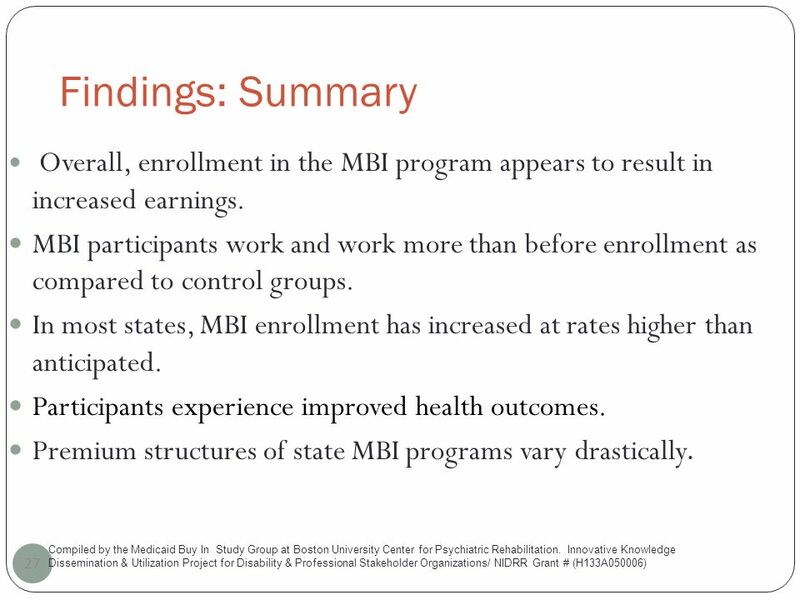 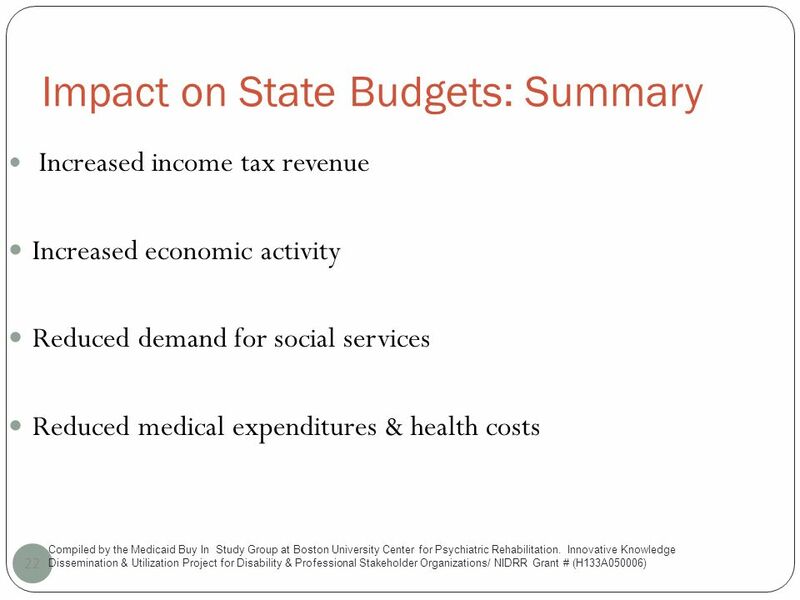 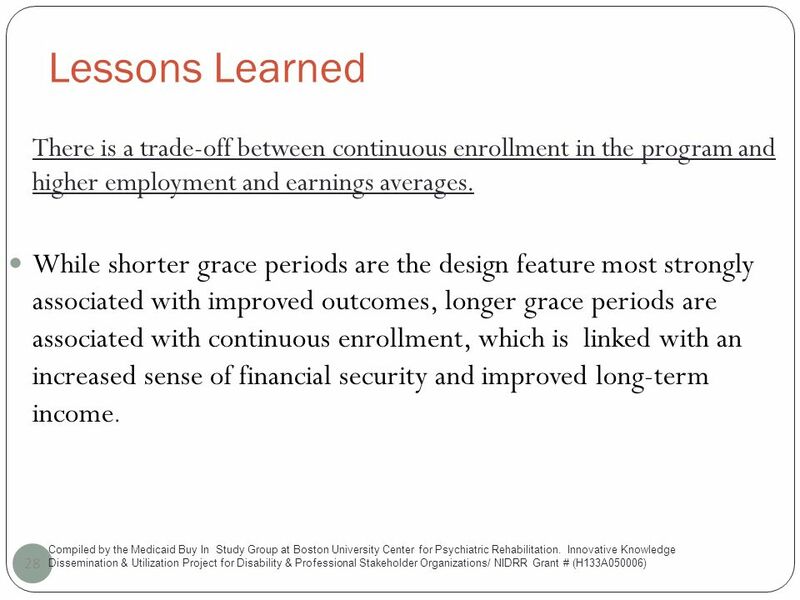 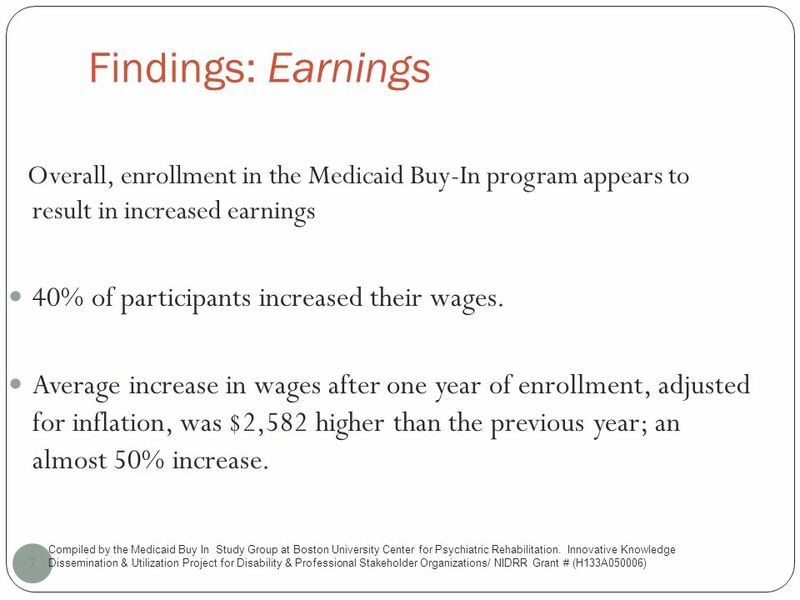 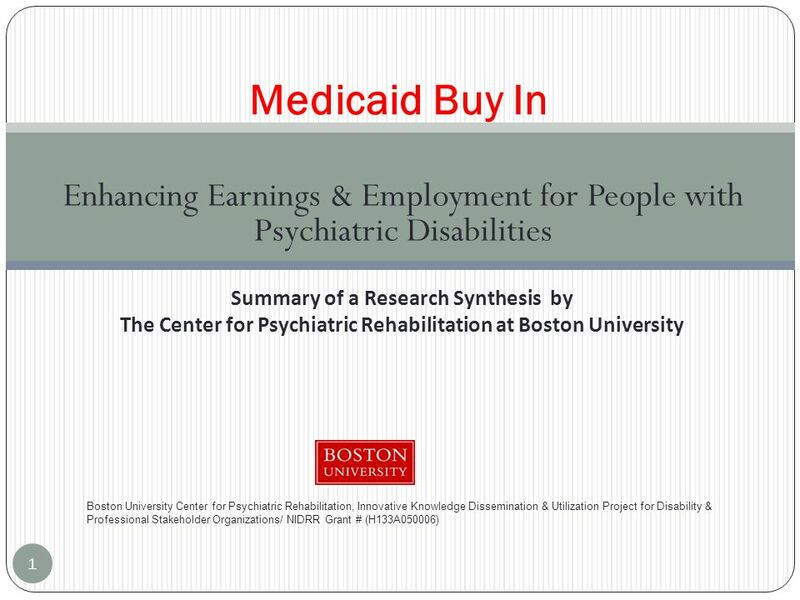 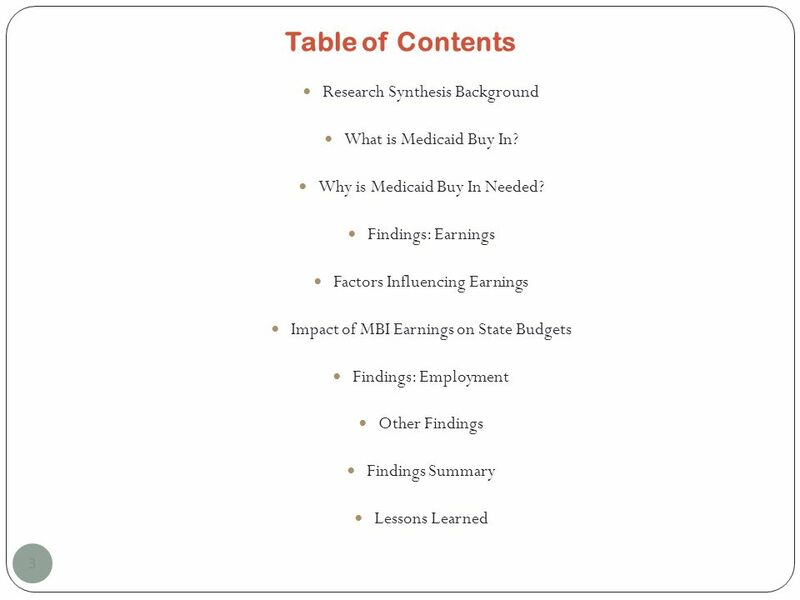 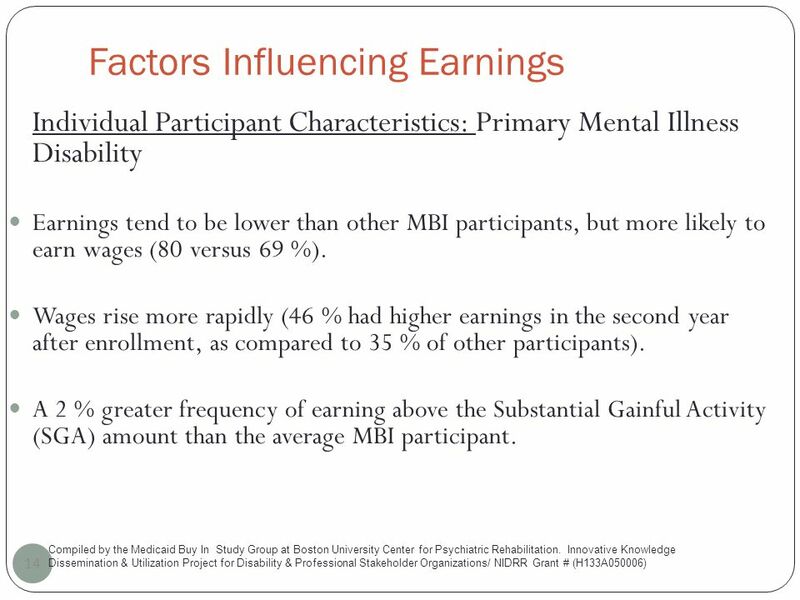 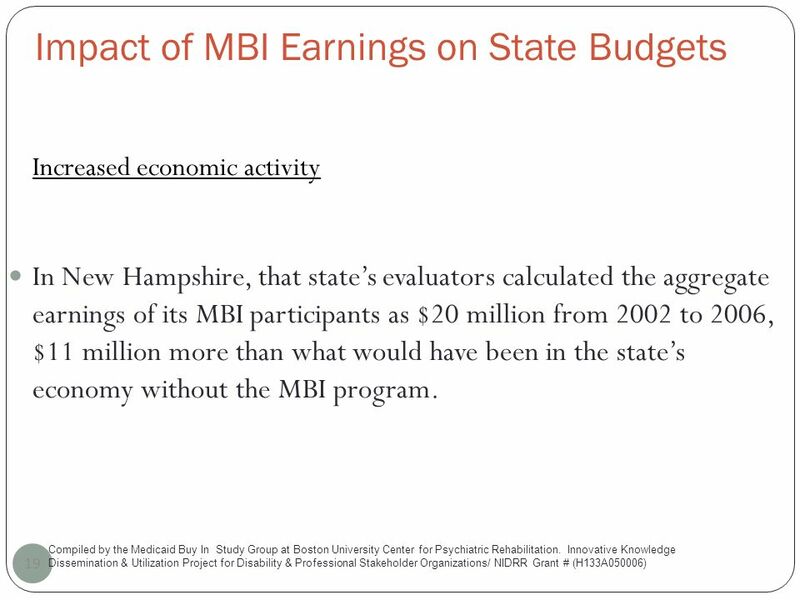 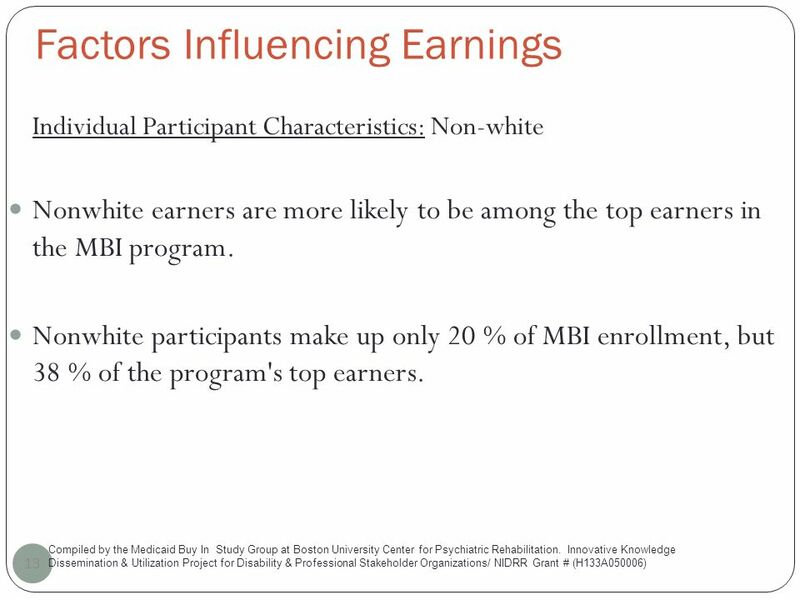 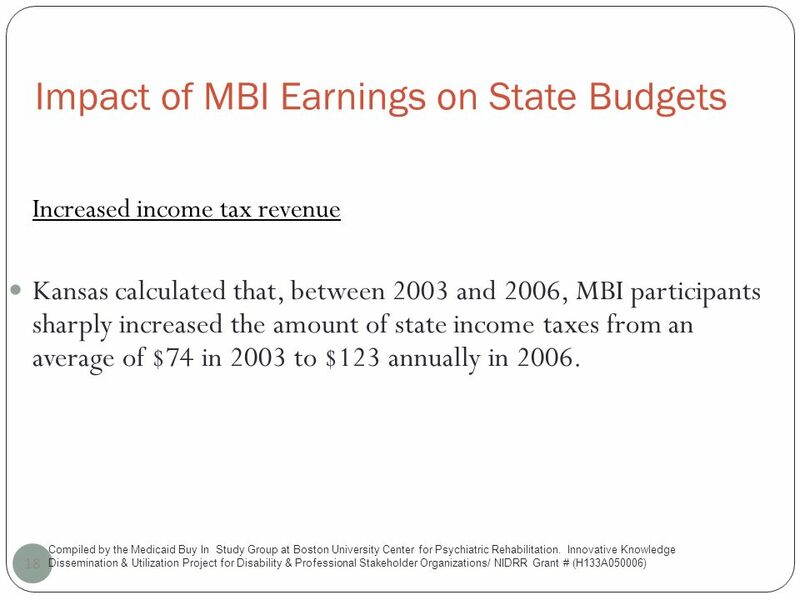 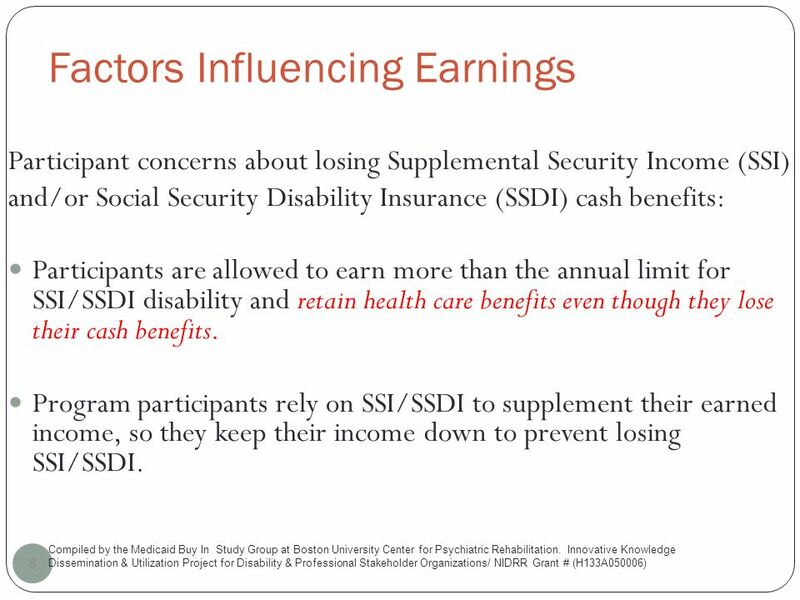 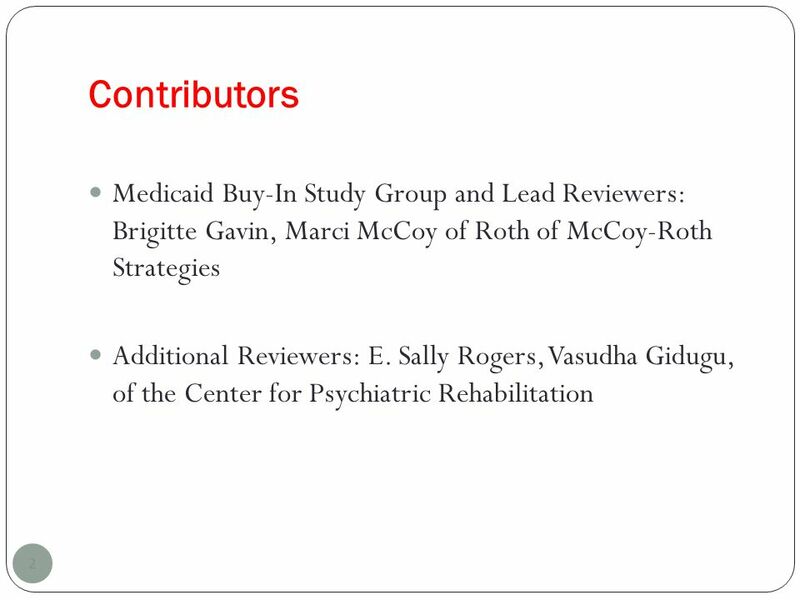 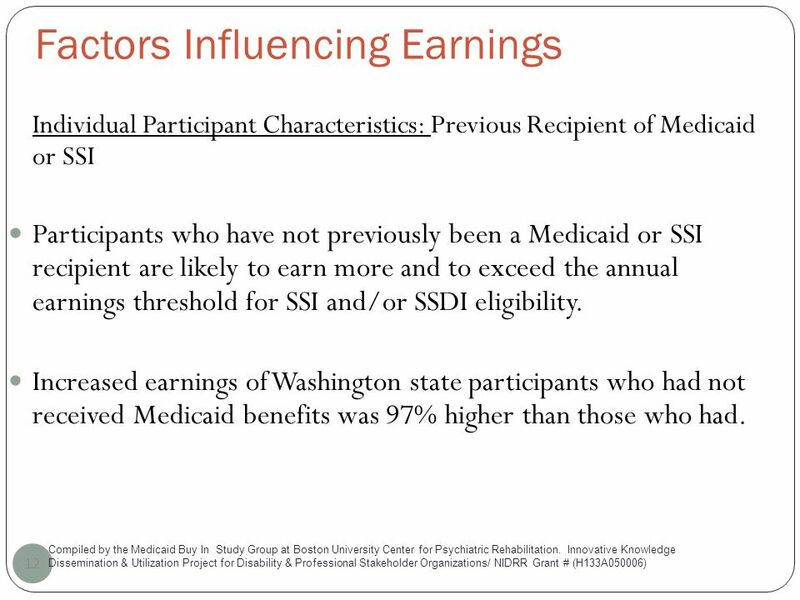 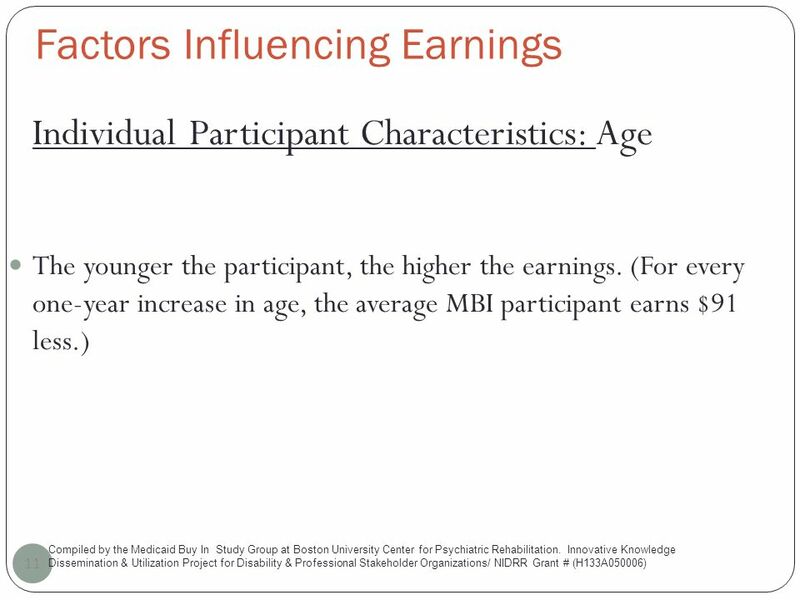 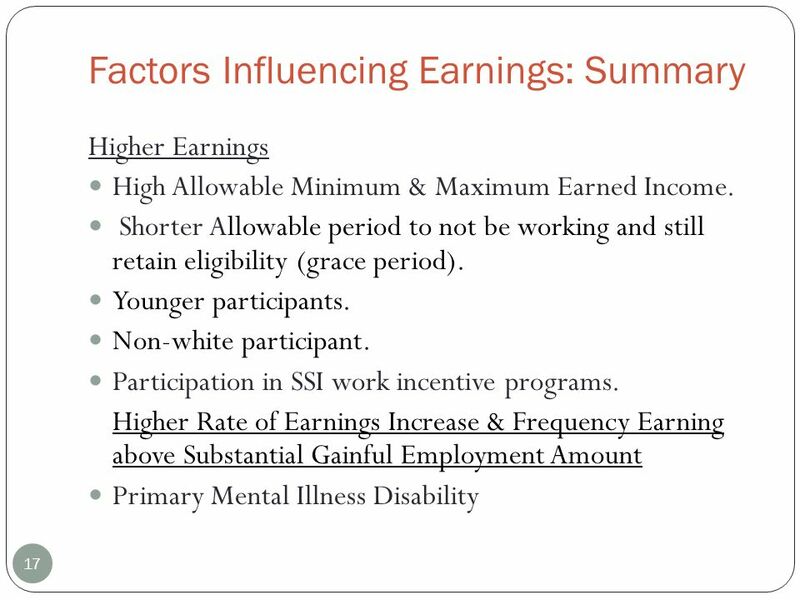 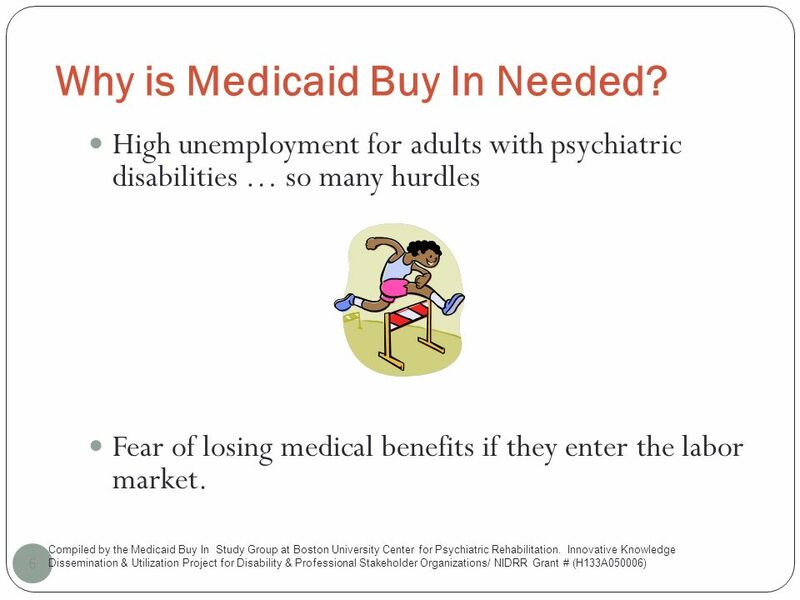 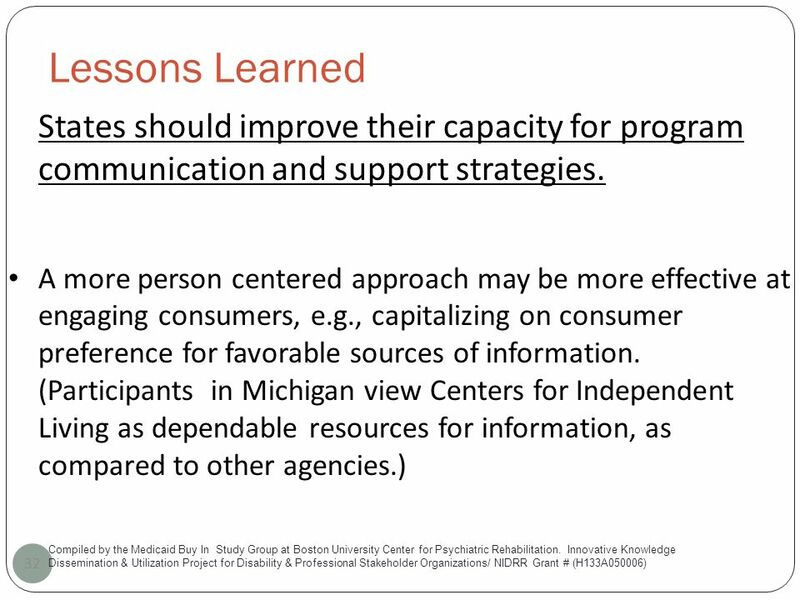 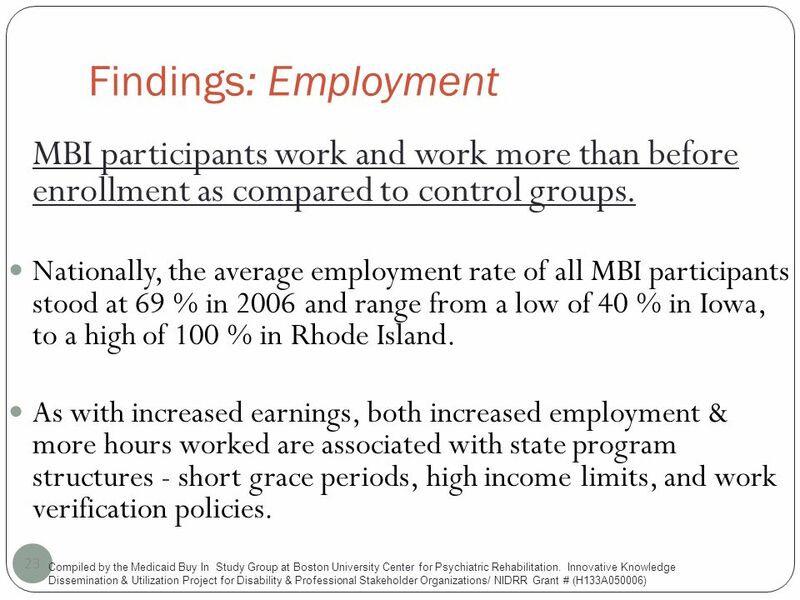 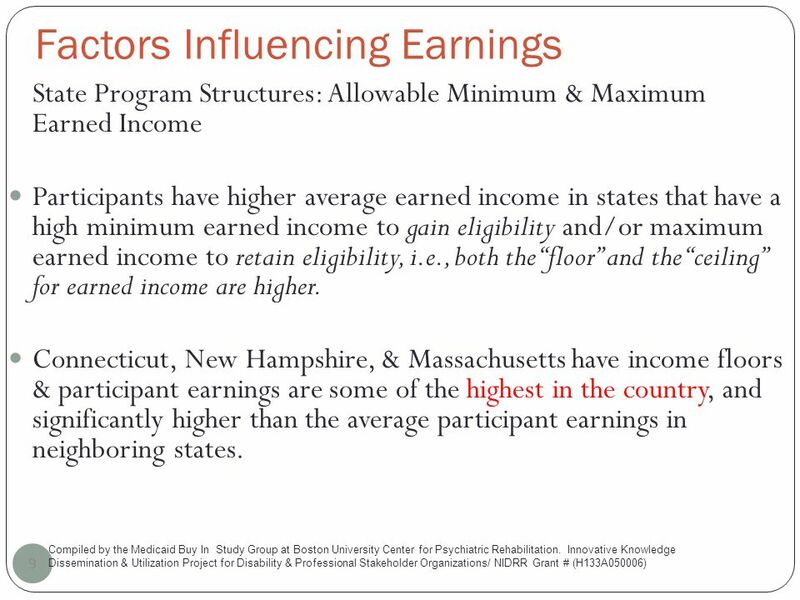 Download ppt "Enhancing Earnings & Employment for People with Psychiatric Disabilities Medicaid Buy In Boston University Center for Psychiatric Rehabilitation, Innovative." 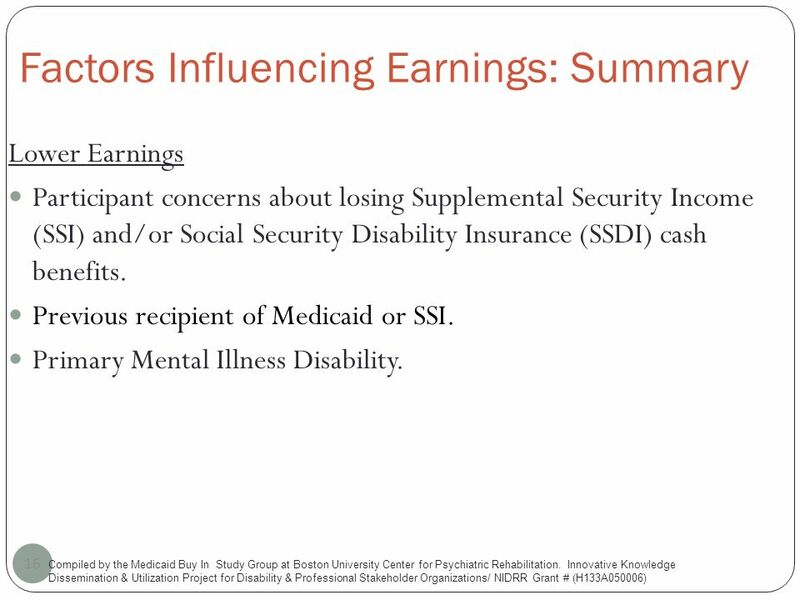 Money Follows the Person (MFP) January 28, 2010 Presentation to Families USA 15th Annual Grassroots Meeting Carol Irvin Debra Lipson. 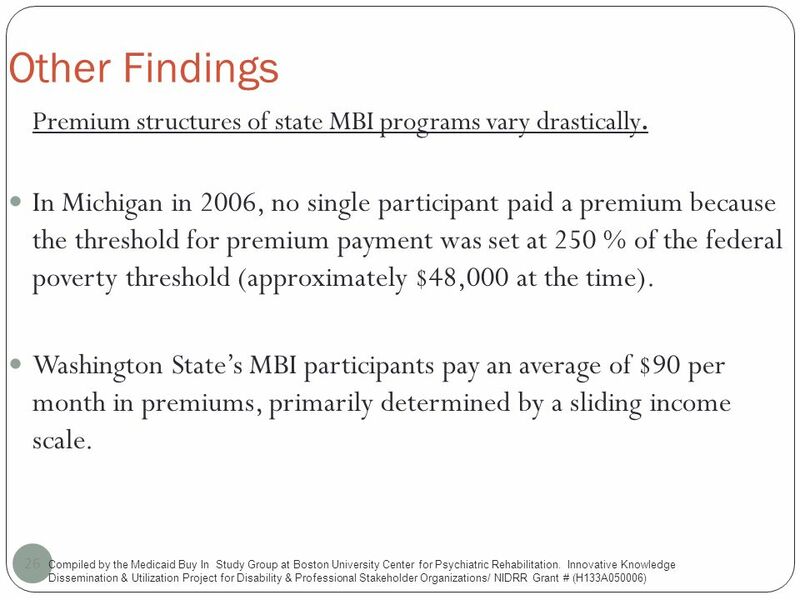 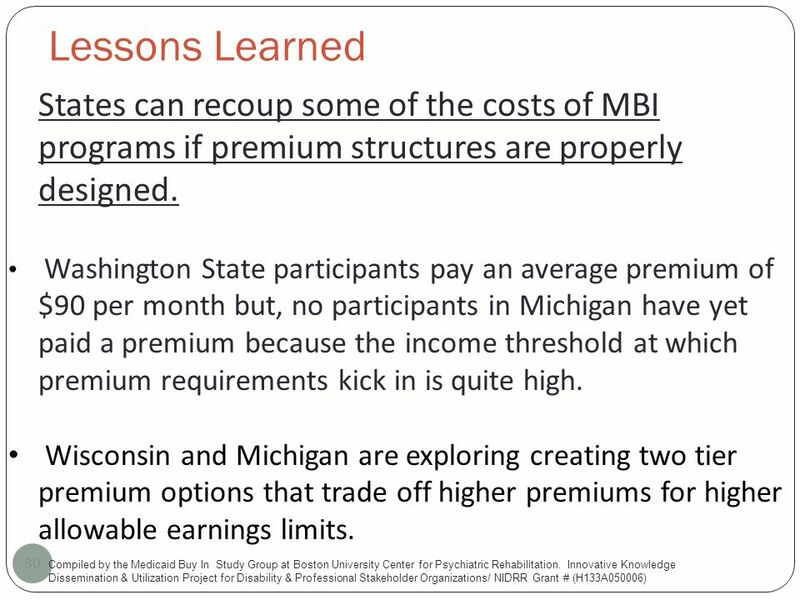 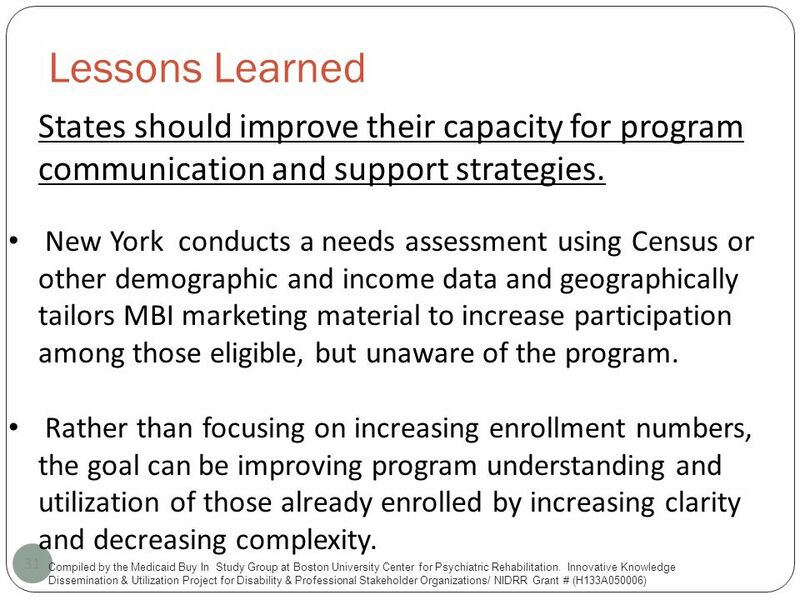 Julie Darnell, PhD, MHSA Assistant Professor, Division of Health Policy & Administration School of Public Health University of Illinois at Chicago May.